There was an unopened box lurking in our basement from ages ago. When it first appear, nobody was quite sure, but lurk it did. Actually, it was from my bridal shower, which was many years and years ago. And it’s been lurking because I figured that yogurt would be complicated because there was this complicated-looking piece of uni-tasker specialty equipment. Ha! How wrong! It’s quite easy, but it does require some patience. 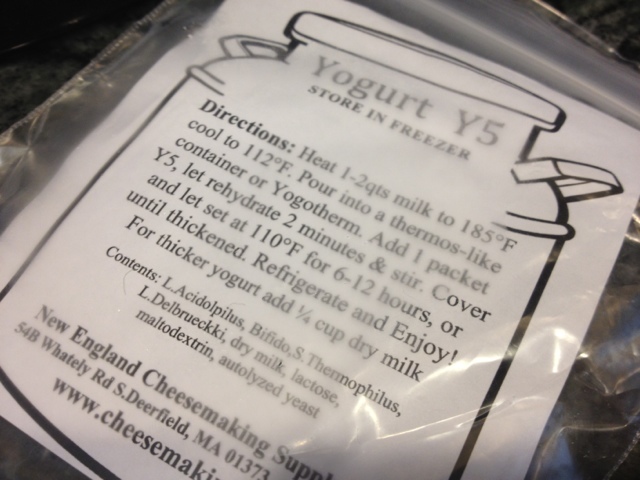 The last time we ordered cheese cultures from The New England Cheesemaking Supply Company I also ordered some yogurt starter. I mean, I knew I had this yogurt maker in my possession. I chose “Y5” because it was advertised as sweeter than traditional and contained more probiotics. Then in the tradition of yogurt things lurking, the starter, too, sat ignored in my freezer. 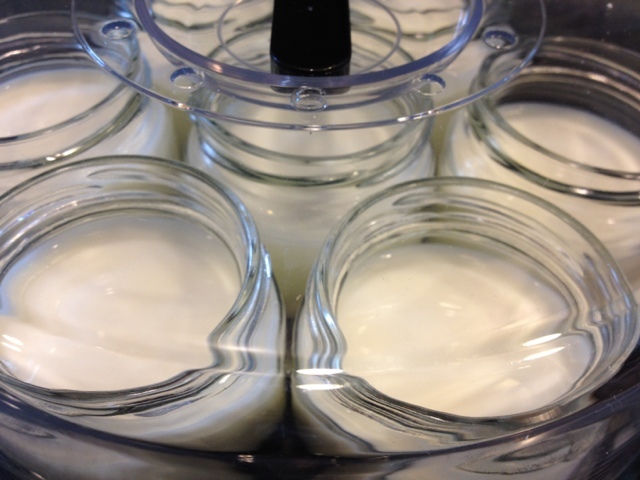 On a whim this weekend, I finally decided to roll up my sleeves and give homemade yogurt a try. For the record, the directions that came with my yogurt maker said I didn’t need to heat the milk, so I ignored the directions written on the packet (Sorry, Ricki “The Cheese Queen” Carroll”) and made the quick dump-it-all-together and ignore it version. Patience, hah! That worked! 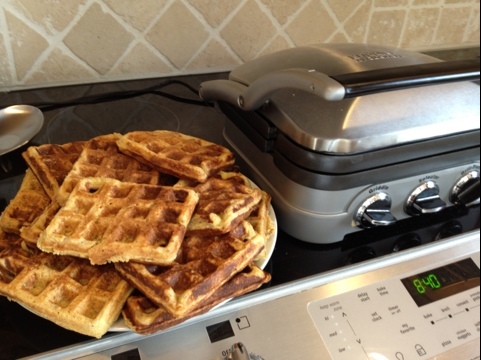 So, thank you – all you economical homesteaders out there – you inspired me to open that box, wash the thing, plug it in, pour some starter powder into a quart of warmed local milk, and let it sit overnight. I don’t know what I was afraid of, but my goodness, talk about saving money on all those little containers of yogurt! Add the results of the Y5 experiment? Tasty yogurt! It was thick and creamy and pleasantly, mildly tangy. 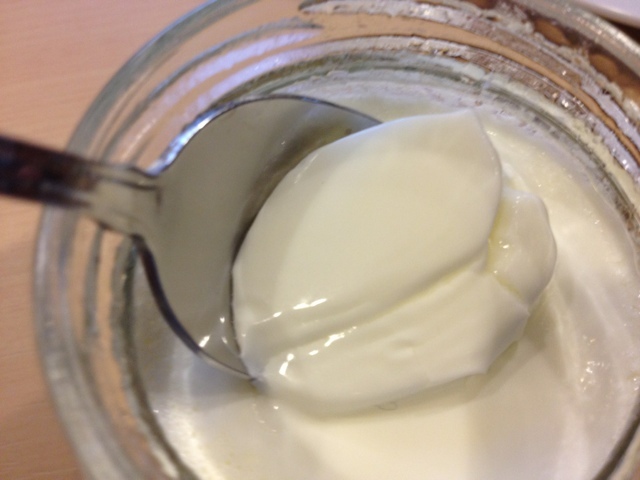 I would say I have a happy new weekend yogurt-making routine.